Yes, pediatric stethoscopes look cute – but is it worth investing in one? 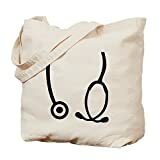 The only real difference between a standard stethoscope and a pediatric stethoscope is the size of the bell and diaphragm. A smaller head allows for better contact with the chest wall, and therefore mo re accurate auscultation. 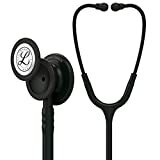 A standard paediatric stethoscope like the Littmann Classic II Paediatric has a diaphragm measuring 3.3cm, compared with an adult stethoscope like the Littmann Classic III , whose diaphragm will be closer to 4.4cm. If you will be dealing with neonates on a regular basis, it’s also worth considering whether an infant stethoscope like the Littmann Classic II Infant – this one comes with an adorable rainbow finish and a tiny 2.7cm diaphragm that ensures reasonably good contact with even the tiniest of preemies. If you aren’t sure whether you need a separate pediatric stethocope, or if you like to travel light, a good compromise might be the Littmann Classic III, the Littmann Cardiology III or the Littmann Cardiology IV. All of these have both an adult and a pediatric diaphragm incorporated into the design. 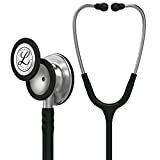 All of the Littmann models have the quality you would expect from Littmann, including durable parts, comfortable earpieces that make a reliable seal and latex free tubing, as well as generous warranties. However, for the slightly higher price of the Cardiology range, you get better sound quality thanks to the dual lumen tubing. 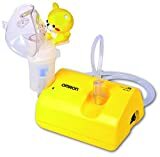 If you decide to go the whole hog and buy a separate paediatric scope, the paediatric diaphragm on any of these Littmanns can be converted quickly and easily into an adult sized bell, although Littmann themselves state that sound quality – especially at low frequencies – is actually better with the Cardiology III than with the dedicated paediatric scope. If you are price conscious, Amazon offers a number of models at a cheaper price point including this snazzy blue model from GIMA or the more sensible black diamond stethoscope. On balance, we think it’s worth buying a paediatric stethoscope if you see children regularly – although for us the best buy overall is still the Littmann Cardiology IV for its versatility and excellent sound quality.